Join host John Rocha and Ryan Satin as they recap last night’s episode of Raw. 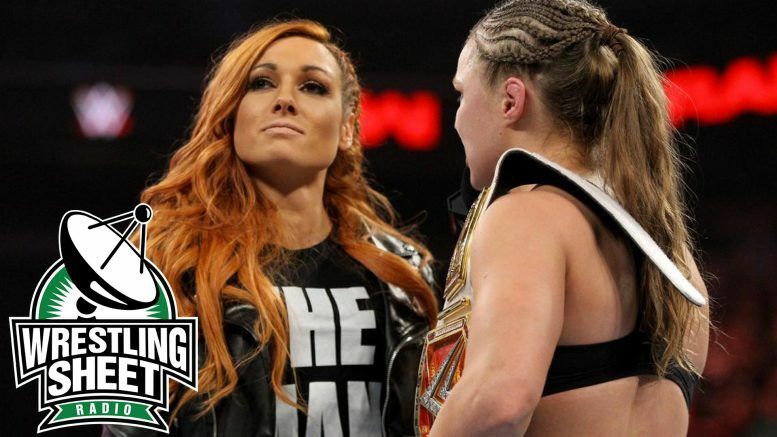 Ronda Rousey and Becky Lynch being at the center of WWE’s most popular angle in ages. Listen to the audio on Podcast One or watch the video below. Subscribe to the Wrestling Sheet Radio feed on iTunes for weekly audio shows and, while you’re there, please leave a review or rating. Thanks!